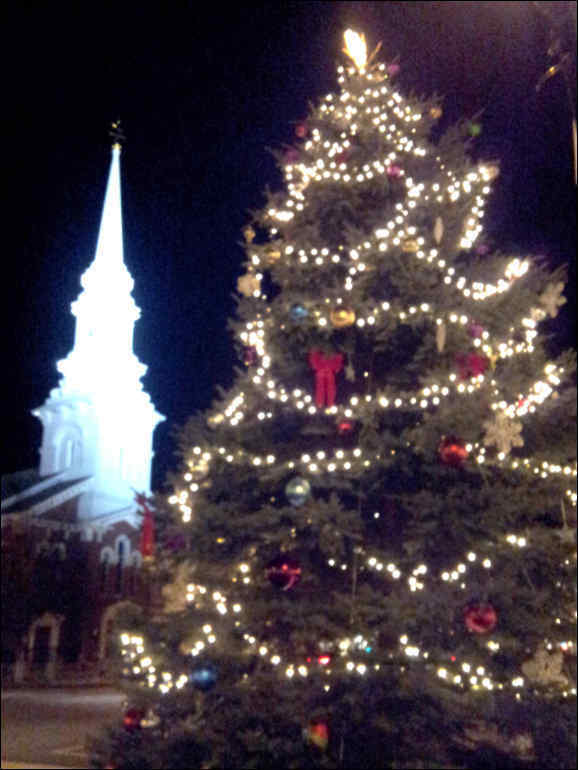 Merry Christmas to all from the Market Square in beautiful downtown Portsmouth NH. The Market Square has been the economic and commercial center of Portsmouth NH since the mid 1700s. It’s a gathering place, great spot to people watch, and the center of most everything that goes on downtown. The North Church on the east side of the square has the tallest, whitest steeple I’ve seen lately. At night it’s lit up by floodlights from neighboring building and dominates the city skyline. I think our 4 story tall town Christmas Tree across the street from the church compliment each other well especially when lit up at night. Ann Cummings and I are happy to answer any Portsmouth NH questions about both our real estate and our beautiful New Hampshire Seacoast location. Visit NewHampshireMaineRealEstate.com for more area information.